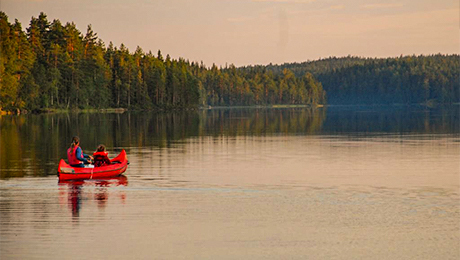 Wilderness canoeing and kayaking in the paddling paradise, the Malingsbo-Kloten Nature Reserve, 2,5 hours drive from the Swedish capital Stockholm. Detailed canoe trail descriptions with maps. High hills and deep valleys surround a long stretch of excellent paddling water with steep cliffs descending dramatically into the river along narrow stretches. 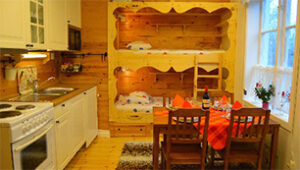 The wilderness is located on top of a higher plateau and the wildlife is rich. The nature reserve is very well taken care of. Along the canoe trails are a great number of rest areas with sturdy rain and wind shelters. At the rest areas there are good, strong fireplaces in front of each rain and wind shelter. 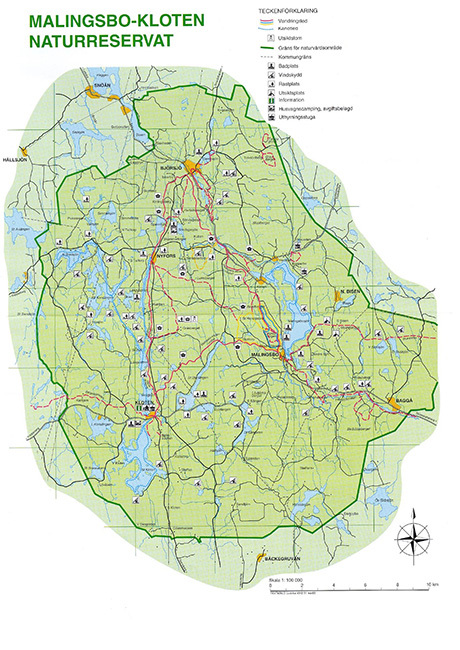 There is no entrance fee to the Malingsbo-Kloten Nature Reserve or charges for tent camping at the rest areas or at other places along the canoe trails. 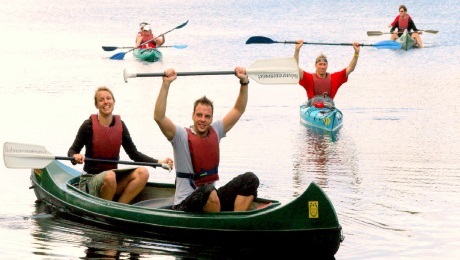 Excursions lasting 1-5 days: Start paddling at the Canoe Center in Kloten and paddle north along the narrow stretches in Långvattnet. Take a left at the fork in the waterway and find your own way among the islands and bays of the Korslången archipelago. Paddle up to Bredsjön and down to Sörsjön. On your way back, you paddle on a 5 days excursions north from the divide. On longer trips it is recommended to follow the shoreline and make a round trip along the explained route. 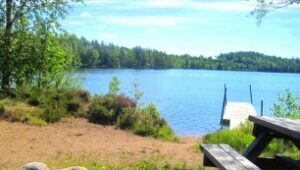 Excursions lasting 1-2 days: Start the paddling at the Canoe Center in Kloten and paddle south among big and small islands in the archipelago lake, Klotensjön. It is recommended to follow the shoreline and make a round trip. Half-day excursion: There is a narrow strait in the middle of the lake, Klotensjön. There, the half-day paddler is recommended to make a short cut and do a round trip around the northern part of the lake. 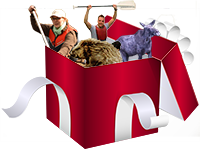 Week-long excursions: The week paddler is recommended to cover both the canoe trail to the north and the canoe trail to the south of Kloten. 2-days paddling with indoor accommodation: The two-day paddler who prefers indoor accommodation is recommended to stay at the Bed & Breakfast in Kloten >> and paddle south one day and north the other day. Staying at the Wilderness Lodge is also an excellent option the night before and the night after a long paddling trip. 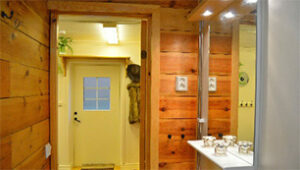 If the rain is pouring the lodge is also there as a good backup. Paddling Bredsjön-Kloten: Transport of hired equipment and transfer to Bredsjön and paddling back to Kloten. Paddling Nyfors-Kloten: Transport of hired equipment and transfer to Nyfors and paddling back to Kloten. Recommended for both day and overnight excursions. 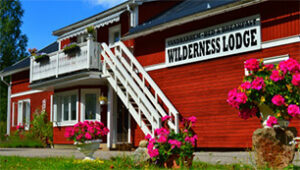 On overnight excursions, you take a right and paddle around the archipelago lake, Korslången. In Korslången, you can make a longer or shorter round trip among the beautiful and untouched islands before paddling back to Kloten. Which canoe trail is recommended for round-trip excursions lasting 1-day ? For round-trip excursions lasting 1 day, the recommendation is to paddle along the canoe trail south of Kloten. For excursions lasting two or more days, the recommendation is to paddle along the canoe trail north of Kloten. 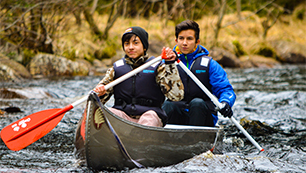 350 SEK/canoe and kayak /day in the Malingsbo-Kloten Nature Reserve. 2100 SEK/canoe and kayak/week in the Malingsbo-Kloten Nature Reserve. 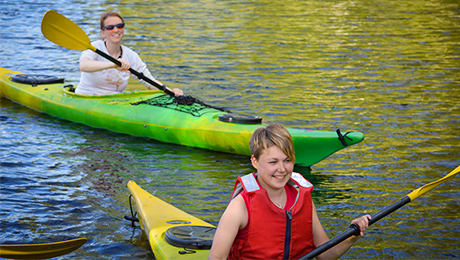 Canoe trail description: River paddling along narrow waterways without flowing currents. Occasional archipelagos with untouched islands. Location of Canoe Center: Right between two canoe trails in the village Kloten. 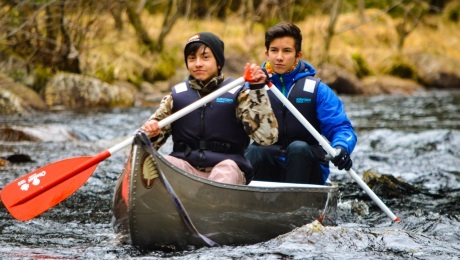 Distance of canoeing & kayaking: 70 km (+ 30 km along the Malingsbo trail = 100 km). The canoe trail north of Kloten: 50 km. The canoe trail south of Kloten: 20 km. Amount of portage along the other canoe trails: 0. 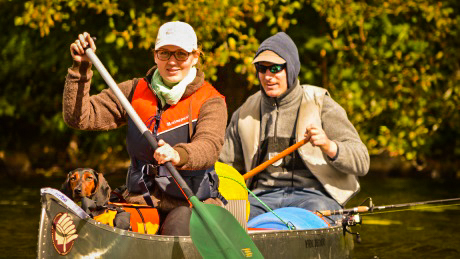 All paddle equipment is included: Life jackets, paddles, canoe, and kayak trolleys and canoe trail description with map are included in the rent of canoes and kayaks (+ a spray cover for the kayak). Detailed water resistant map in the scale 1:50 000 for rent: 30 SEK for 1 day. 50 SEK for 2 days. 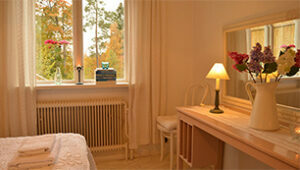 75 SEK for several days and 100 SEK for a week and more. 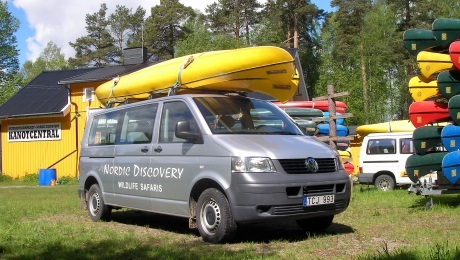 Information about canoeing/kayaking and trip proposals: Nordic Discovery's personal service includes canoeing/kayaking information and trip proposals. On arrival, a briefing about the canoe trails and the area will be held in front of maps. Assistance with getting into the canoes/kayaks and basic instructions are provided upon request. Opening hours: The Canoe Center is open daily 09:00 AM - 07:00 PM. You are welcome to pick up and return the canoes and kayaks any time during opening hours. Car parking: Safe and free parking lot on the meadow at the back of the Canoe Center. 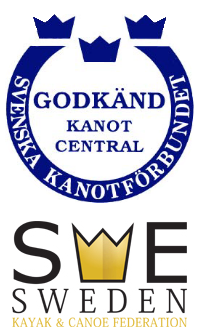 Transport of hired equipment to Nyfors: Free transport for hires over 1500 SEK. 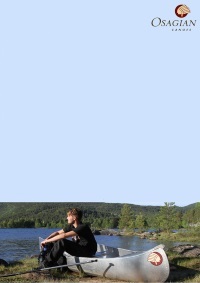 Transport of hired equipment to all lakes in The Maligsbo-Kloten Nature Reserve: Free transport for hires over 1800 SEK. Transfer to Nyfors or Bredsjön: 75 SEK/person (transfer and transport have to be scheduled ahead of time). Small group transfer discount: free transfer for 1 and 2 participants. What about drinking water along the canoe trails? The water along the canoe trails in the Malingsbo-Kloten Nature Reserve is good for cooking with. Drinking water is recommended to be filled up in water bottles or containers from the faucet back home or at the Canoe Center (no charge). The tap water in Sweden is excellent drinking water and always controlled by the local health department. A fresh water spring is located along the canoe trail north of Kloten. There are water containers for rent at the Canoe Center. The containers holds 10 liters and the price is 80 SEK/excurcion. What is the average paddling distance ? The average holiday paddler usually covers a distance of 10 km/day on water without currents. This distance allows time for doing other things, such as: experiencing camping life, fishing, swimming, reading, relaxing and socialising around the campfire. How do we keep our food cold ? Most people bring a cooler box to keep their food cool at the beginning of their trip. As the cooler box just will help you from the beginning of your trip you have to plan on consuming dry food, vegetables, fruit and cans for the following time of the trip. At the Adventure Center you can hire and change cooling blocks (the ice cubes you put in the cooler box). Is there cell phone connection in the nature reserve ? The connection is very good with the state-owned company, Telia. The connection is very bad or non-existent with other companies. Foreign phones automatically get switched over to Telia's network. The other option (for unlocked phones) is to buy a Swedish Telia SIM card for the trip. The paddler is a guest in the nature reserve and is required to demonstrate responsibility and care. Not to harm and not to destroy. We have the right to enjoy Swedish nature, but there is also a duty to behave responsibly. The paddler’s only trace should be the whirlpools from the paddles.